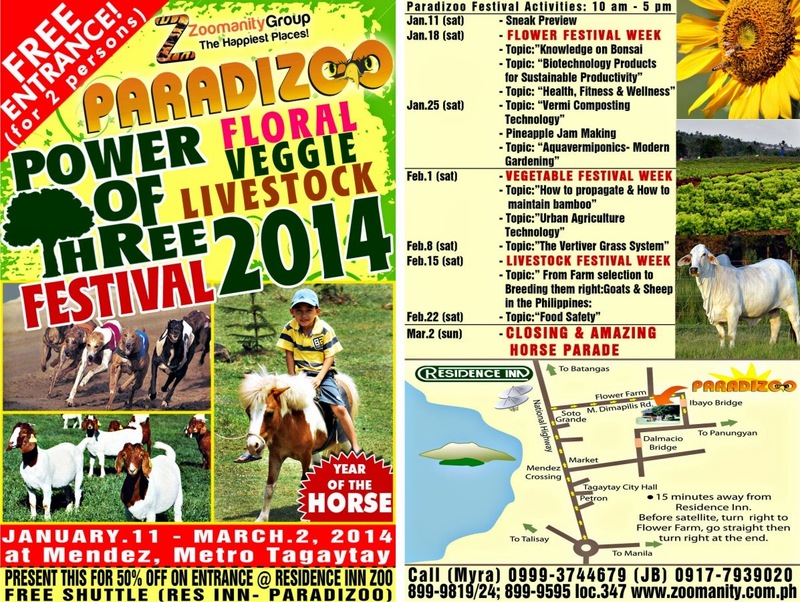 Paradizoo celebrates this International Family Farming year with its “Power of Three" (floral, vegetable and agri-livestock fair) festivities. Paradizoo is a 10-hectare haven ideal for picnics, educational field trips, outdoor and group outing programs. Located in Mendez, Cavite, Paradizoo is a fascinating paradise with soothing beauty of its flora and fauna. This theme farm has a lot of attractions to offer. 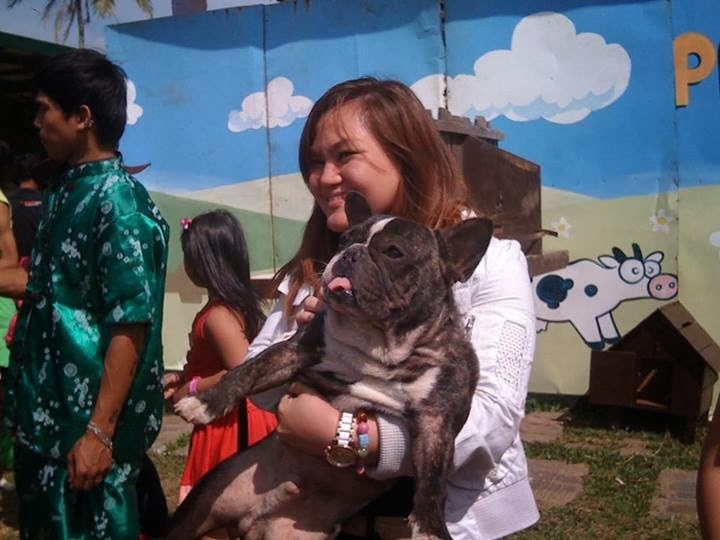 We were privileged to join the event sneak preview last January 11th. All were welcomed by a Dragon Dance coupled with a Fire Dance feat. Soon after, the animal parade followed. Spectators and guests were then given enough time for photo opps. Join in Paradizoo as it holds the different festivals for the succeeding weeks to come. You will certainly enjoy your understanding towards agriculture as you learn the Best Practices in agriculture. Go see the farm produce exhibits, sale and auction of livestocks (imported breeds of goats for milk and meat, sheep, several pig breeds animal feed, and a lot more). There will be briefings, discussions on breeding programs and free seminar on flower, vegetable and livestock care. Be mesmerized with the variety of breathtaking floral designs, formal hedges and topiary during Flower Festival starting Jan 18 up to Jan 25. Witness a stunning haven of farm and garden everyone would wish to experience. Additional attention-catching topics to look forward are The Knowledge of Bonsai, Biotechnology Products, Health, Fitness and Wellness, Vermi Composting Technology, Pineapple Jam Making and Aquavermiponics, a modern gardening technology. The culminating event on March 2 will include an amazing Horse Parade, a gala for this year of the horse. 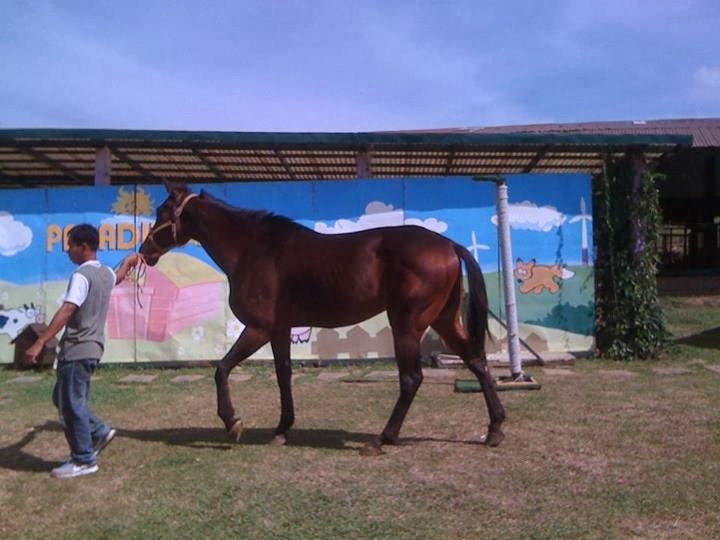 Different breeds of horses from thorough breed to miniature horses will be put on display as they parade together with their colorful and magnificent carts. This would be one fruitful experience you surely wouldn’t want to miss. 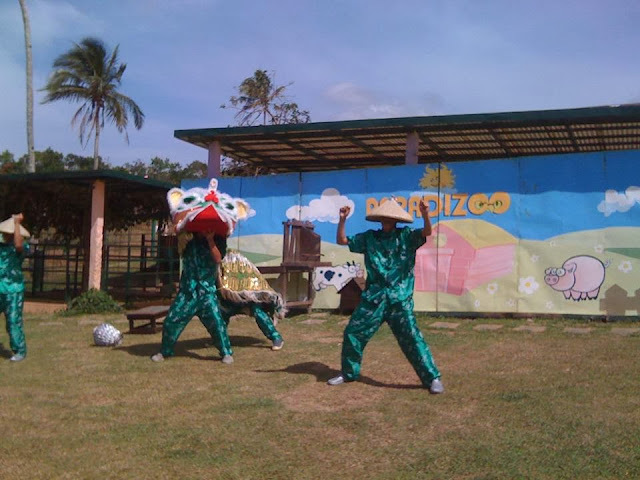 For those interested, you can visit www.zoomanity.com.ph for details or call them at telephone numbers 8999828 or 08. I'm sure my boys would love to visit this place. A perfect place for a whole family to have some fun and bonded together. 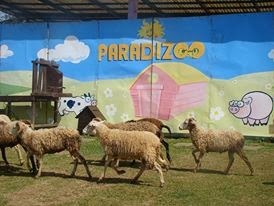 Your kids will surely enjoy themselves at Paradizoo. Try it sometime soon. Waaahhhh bakit di kami nakasama ni B dyan? =( Sadness. If there's Paradizoo in Cavite, there's also Zoobic Safari in Subic. I'm close to the latter but haven't visited the place yet. Nice place. This is a good venue for kinds (and kids at heart) to learn more about plants and animals. Great place for bonding with kids. My niece would love to visit it someday. Nice place :) and perfect to visit with your family. Fun! Kids and family will surely enjoy this place. 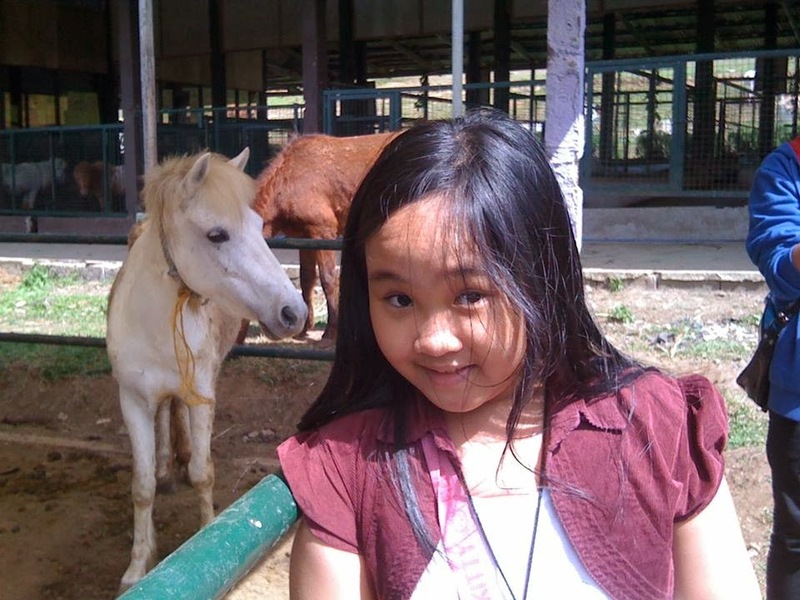 I remember when I was in grade 5 we had a field trip here (i am not sure if this was the zoo) haha... This zoo is perfect though for family outing and school fieldtrips. I really love nature and I'd love to visit Paradizoo soon! 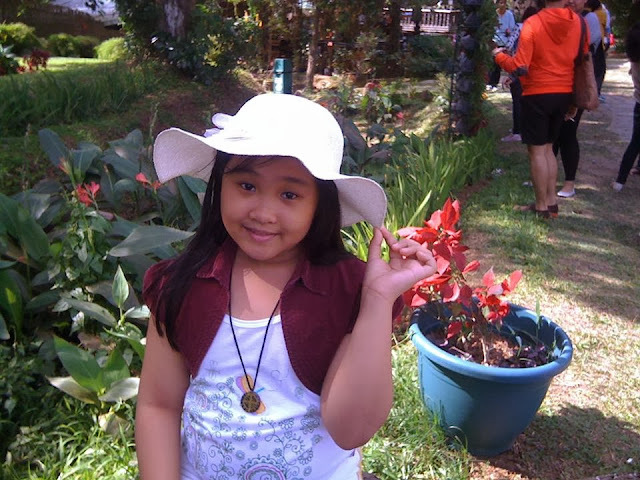 I really miss going out and have a nature trip. I'm quite the nature lover myself. Paradizoo looks like a swell place to visit. 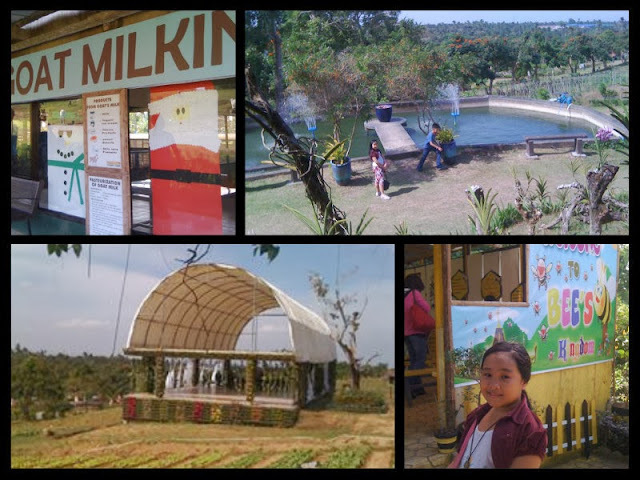 My pamangkins will definitely find this place interesting, as they love zoo's (and sometimes, plants). This would've been a ideal place to visit, if it weren't located so far from us.